Advantages of our simple and easy Elite Auto-farming program. 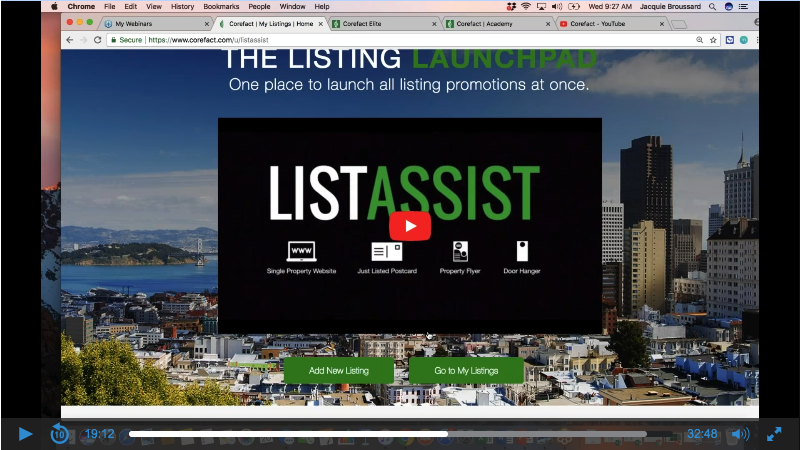 Effective listing promotion tools that can help you win new business. Special investment pricing through our CoreCredits program. This is a monthly webinar series. You can view past webinars here or sign up to attend the next live webinar. To see upcoming sessions, please click here. Want more how to's sent to your inbox? CoreCredits lets you purchase credits toward your direct mail products, saving you money. Here's everything you need to know about CoreCredits in one handy article. Let's ensure that all best practices, tips, and tricks are in your arsenal for success with us here at Corefact. Here's how to get the most out of your Corefact account. Sending consistent marketing is what separates dominant real estate agents from the competition. Let’s get you started with a stellar 12-month campaign that’s fully automated.